This blog post shows how to encrypt and decrypt the payload of the message using Apache Camel. The cryptografic algorithm used in this example is AES-256 since this was an explicit request from security. The key used in the example was obtained from a keystore. For extra security purposes AES encryption can be extended by using a so called Initialization Vector, which is similar as a NONCE a random number used per request. In this example a random 16 bit byte is used. To encrypt and decrypt messages Camel has made an abstraction independend of the algorithm used for encryption and decryption. This abstraction is called the CryptoDataFormat and can be used as any other data format. The CryptoDataFormat is well documented here: http://camel.apache.org/crypto.html However, the use with the AES-256 encryption algorithm is less well documented so, hopefully this post helps someone. The first step is to generate the key we are going to use for encryption AND decryption (remember this is symmetric encryption, meaning the same key is used for encryption als for decryption opposed to PKI which is an assymmetric encryption technique). To retrieve the key from the keystore I created some helper method, nothing special so far. The KeyConfig object is just a POJO containing some String values retrieved from a propertyfile. The first thing we need is a CryptoDataFormat. Since we are using CDI for the bootstrapping we are going to use a PostConstruct annotated method to create a CryptoDataFormat. 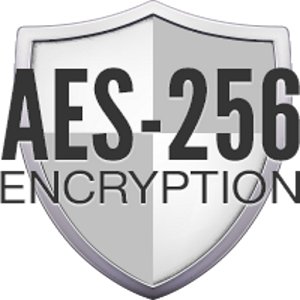 The trick is to set the encryption algorithm to “AES/CBC/PKCS5Padding” and enter a AES-256 key. When using a CryptoDataFormat in Apache Camel we can simply use the marshal and unmarshal statements within the Camel route. However, since we are creating a message specific Initialization Vector we need to set in as well. For this we can use the helper method we created earlier. Another way would be to use a proccessor. In practice it won’t often be feasible to use the same intance of the CryptoDataFormat for both encryption and decrypion. When decrypting the exact same key and Initialization Vector must be used to initialize the CryptoDataFormat instance used for decryption as was used for encryption. Since this is symmetric encryption. The key used for encrypion must be available to the party which performs the decryption. This opposed to assymmetric public/private key signage. This is inherently part of the AES encryption protocol. For reasons unknown to mankind Oracle decided not to include key sizes of 256 in the standard JRE despite the fact we are living in the 21st century. This results in a Caused by: java.security.InvalidKeyException: Illegal key size exception. To resolve this the so called “Unlimited Strength Juristriction Policy” files must be downloaded and extracted to the JRE. Since Oracle has a tendency to change download links it won’t be posted here. But searching the internet will provide plenty of examples on how to download and install. One of the most frequently used constructs in Apache Camel is the Processor (http://camel.apache.org/processor.html), it is used ofter for invoking custom code or performing message translations. The API of the processor is very clear and well documented. As are numerous examples available for using a Camel Processor. The lesser known brother of the Processor is the AsyncProcessor (http://camel.apache.org/asynchronous-processing.html) which is less documented and a less frequently used. Mainly because the AsyncProcessor is mainly targeted for Camel Component developers. However, recently I decided to play around with the Camel AsyncProcessor in a regular Camel setup. In this blog I would like to explain one possible way how to use the AsyncProcessor in a Camel route setup. Similar to creating a Processor, creating a AsyncProcessor starts by implementing the AsyncProcessor interface. Next to the regular process method process method which takes an AsyncCallback must be implemented. The AsyncCallback is invoked whenever the Async execution (which must be started in a seperate thread) is finished. The return boolean indicates whether or not the Camel routing engine must wait or continue routing to other components/processors defined in the Camel route. In order to start a async job the execution must take place in another thread. Java nowadays has multiple ways for concurrent, multi threaded execution. For this example we simply create a Runnable class en start the job via een executor service. Since this helper method is static, it can be invoked from anywhere in the route or processor, thereby giving the flexibility where in the route the threads must be synchronized. The exception handling and retry mechanisms in Apache Camel are quite extensive. In this blogpost we are going to take a look at customizing the retry based on a predicate implementation of our own thereby enabling really fine grained retry logic. In our example we are going to look at the MEP of the exchange, whenever it is inOnly we are going to retry since no synchronous subscriber is waiting for the response. Conversely, when the MEP of the exchange is inOut we are not going to retry and immediately send back an error. Think fail fast en stuff. Like mentioned above we can enable this by implementing the Predicate interface from Apache Camel. * Returns a Boolean whether or not a redelivery must be executed. * @return Boolean if a redelivery should be executed. Recently I was struggling with invoking HTTP endpoints using self-signed certificates using the Apache Camel http4 component. The crux of the problem was the fact these certificates change rapidly and are maintained by other teams. Since this was an internal call only, routed through a VPN I decided to approach the problem by disabling the certificate check instead of adding the self-signed certificates to a keystore which I normally do in these situations. So keep in mind, doing this will undermine the security of the TLS connection. And obviously only works with one-way TLS connections. It was with disabling the certificate checks in the http4 component that I was struggling so I decided to share what I did with you when I eventually found out the solution. A small note, the example provided in this blogpost is using Apache Camel in combination of CDI. But the solution will work equally well with frameworks like Spring or OSGi Blueprint. First I created my own instance of the HttpComponent seperating it from the standard http4 component. In this custom http4 component we have to do two things. First is to change the Certificate HostnameVerifier so the hostname on the self-signed certificate is not causing an exception. This is accomplished by setting an instance of the org.apache.http.conn.ssl.AllowAllHostnameVerifier to the http4 component using the setter method setX509HostNameVerifier. Note, the version of Apache Camel I am using (2.17) still requires the now deprecated: org.apache.http.conn.ssl.AllowAllHostnameVerifier newer versions of Apache Camel are using the org.apache.http.conn.ssl.NoopHostnameVerifier. This unfortunately was not enough to invoke the endpoint, an empty X509TrustManager was also required. It needs to be empty for our purpose to basically omit the certificate validation checks. For this we needed to extend the X509ExtendedTrustManager and override the methods implementing them as “empty”. To set our empty thrustmanager on the http4 component we need to wrap it in a TrustManagersParameters class and wrap this into an SSLParameters class before we can add it to the http4 component. After this we can use our new insecure http4 component in our Camel routes just as the normal http4 component. Ah the DLQ, the place where messages go to die. When messages end up in the DLQ (Dead letter queue) of ActiveMQ they receive an additional message header with the queue name where the message resided originally. This message header called Original Destination, can be viewed from Hawtio. When using Apache Camel as a subscriber I noticed something strange. Normally all JMS Headers and properties are mapped to the Camel Exchange headers and properties. However, the OriginalDestination header was not. I spent quite some time trying to figure out what happened when I realized the JMS message on the DLQ is not the exact same message from the original queue with some extra headers and properties. The original message seems to be wrapped inside the message placed on the DLQ. To access this message we need to work with the “raw” JMSMessage from ActiveMQ rather the processed message from Camel. This can be done by creating a processor which uses a typeconverter in Camel to get the JMS message from the Camel exchange. In the code below I created a processor which fetches the inner message and from that message retrieves the originalDestination property (which is an instance variable on the ActiveMQMessage class (ActiveMQTextMessage is a subclass of ActiveMQMessage) and places this property as an header on the Camel exchange. In the end it costs me quite some time to grab the concept of fetching the ActiveMQTextMessage from the JmsMessage, since I was under the impression the Camel ActiveMQ component does this out of the box. Anyway I hope it helps someone.